Promotional staplers imprinted with your custom logo is the ideal way to keep your name in front of your clients all year long. Staplers will make any office more organized and prevent the clutter of loose papers. Custom promotional staplers are available in a variety of colors and styles so that they can be coordinated with your other promotional products to create a unified appearance. 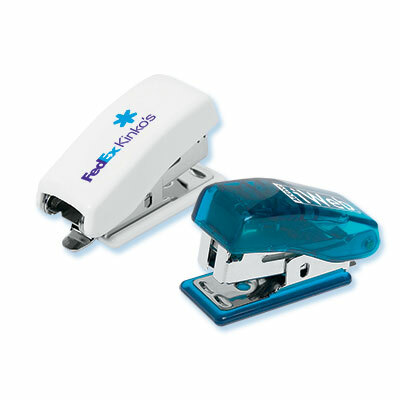 Mini staplers are a compact, yet effective promotional tool and can be used as a giveaway at tradeshows and conventions. To request a quote on a Custom Promotional Stapler Click Here . Quantity discounts available.